May is Camping Month in Pennsylvania, and that means it’s time to fire up your RV and cruise to a new camping spot. Camping Month was officially declared by Pennsylvania’s Governor Tom Corbett for the twenty-first year in a row to encourage everyone to get outside and enjoy an outdoor escape. Here at Fretz RV, we think you should venture to one of these great Pennsylvania campgrounds to celebrate Camping Month and the start of another summer of adventure. The Ye Olde Mill Campground is the perfect place for your first family getaway of the season. It opened for the year on April 15, and will remain less crowded until the busy summer season starts. On-site activities include a playground, recreation room, hiking, fishing, and other activities like backpacking and road biking are available nearby. RVs are welcome, and 50 amp service is available. Cruise down to Covington for an action-packed weekend of outdoor activities and sightseeing. Tanglewood is just moments from a small town where you can dine and shop, but you may just want to paddle on the campground’s lake, fish, mountain bike and bird watch all day instead. The woodsy setting makes you feel like you’re far away from it all, but the site’s countless amenities and activities will keep you busy when you want to be. 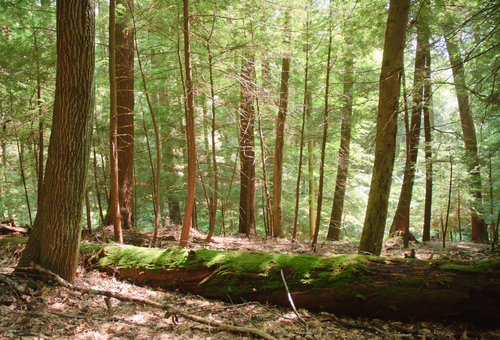 Explore the scenic area of Laurel Highlands from the comfort of your RV at Hickory Hollow Campground. The 75-acre campground features a lake, wooded areas and unbeatable country scenery. Fishing, hiking, biking, paddling and bird watching are available on site, but visitors can also shop, dine and explore the popular Laurel Highlands region. Find your dream RV for Camping Month right here at Fretz RV in Souderton. We’re your one-stop shop in Pennsylvania for new and used RVs, parts, rentals, service and camping supplies.